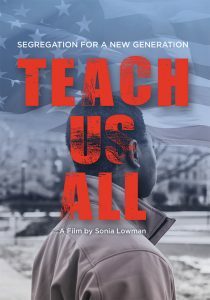 On Tuesday, April 24, at 6 p.m., Newark United Methodist Church will host a showing of the movie Teach Us All, which will be followed by a panel discussion. This event is being co-sponsored by One Village Alliance and the Wesley Foundation Campus Ministry at the University of Delaware. The film Teach Us All examines the public education crisis in America from the 1957 Little Rock Nine to the present day. Like Little Rock, Delaware presents a microcosm of the inequities and complex challenges in our nation’s classrooms. Note: This event is free and open to the public; however, online registration is required because seating is limited. Registration will remain open until capacity for the venue is reached. Please complete your registration below. Instructions Please register by providing your name and email address.